Although it has been a walled enclosure for more than 2,000 years, it is not until the 12th century that the construction of the present Fortress of Monterreal began, which would take almost four centuries to complete. Between its walls, a fascinating story that we want to approach today. The first thing that strikes us when we get there is, without a doubt, the size of this fortification. In fact, it is one of the largest that are conserved in all Spain, with 18 hectares. In it, along its route, three watchtowers rise: the Clock Tower, the Tower of Pincer and the Tower of the Prince, oldest of all and that in its times worked as a lighthouse and as a prison. This place was the scene, over the centuries, of numerous attacks. One of the best known was the assault of the Count of Camiña, Pedro Madruga, in 1474. It was this one who, in defense of Juana La Beltraneja against Isabel La Católica, and with the support of King Alfonso V of Portugal, attacked the village killing many of the neighbors of Baiona and destroying their houses. Madruga’s reputation was violent and humiliating. Some say that in 1485, during the imprisonment in the Pincer Tower of one of his enemies, the Bishop of Tuy, ordered only a small door to be built in the cell and asked that he be fed without stopping in order to get fat and could never leave through that tiny door. It was also here that, on March 1, 1493, one of the caravels of the expedition Cristóbal Colón had landed on the Indies arrived. It was the Pinta, and with it came the news of the discovery of America. This was how Baiona became the first town on the “Old Continent” to receive the news. It is a fact of such importance that, today, every year is celebrated a theatrical representation that reminds all attendees of the event, the “Fiesta de la Arrivada”. 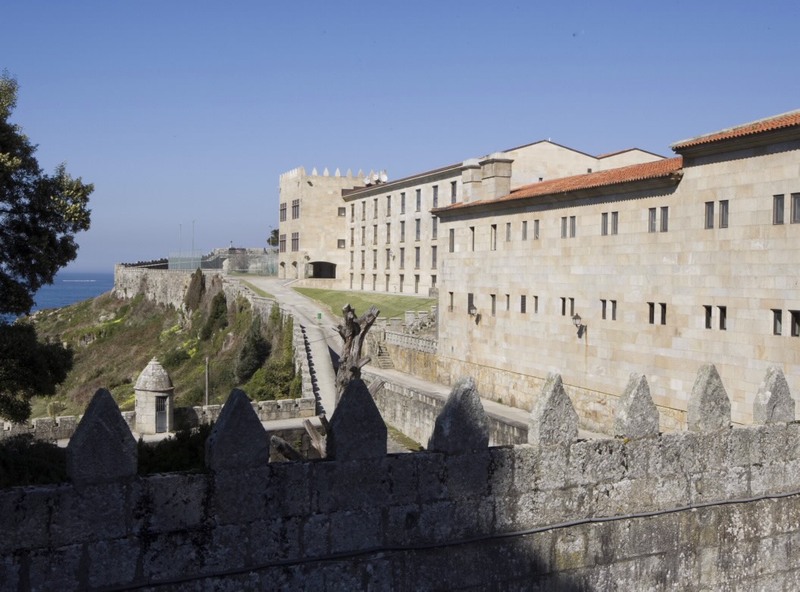 In 1963 it was built what is now the Parador Nacional Conde de Gondomar, inaugurated in 1966 as a hotel complex. At the time of its construction, the old walls were also restored, building on them battlements that returned them to their medieval style. In 1975, next to the hotel, a chapel dedicated to Virgen del Carmen is constructed that today is usually surrounded by tourists and curious. But what is really fascinating is to be able to find still today the remains of the buildings that once filled the castle, and is that although some buildings were destroyed (like the Convent of the Franciscans, the Palace of Justice or the Palace of the Count of Gondomar), remains of the old houses, warehouses and wells are still there. So you know, whether you can only make a short visit walking along the three kilometres of route that surround the fortress as if you decide to spend a whole night there, this place will allow you to be part, if only for a certain time , of its history.